Vermont is poised to make history for the LGBTQ community if voters in the Green Mountain State oust their current governor in favor of first-time candidate Christine Hallquist. The Democrat running in Vermont’s gubernatorial election, will be the first transgender governor in the nation if elected on Tuesday. After securing her party’s nomination in August, Hallquist is up against Republican incumbent Gov. Phil Scott, who is running for a second term in the historically blue state. Scott is facing a tough challenge since his approval ratings with his GOP base have tumbled following recent efforts to tighten gun control in Vermont. Despite being a liberal stronghold, particularly in presidential elections, Vermont residents are staunch supporters of gun rights -- with the state scoring an "F" according to the Giffords Law Center. Advancing a progressive platform focused on economic and social justice, including a $15 minimum wage, environmentally sustainable rural development and expanding access to internet services, the Democratic hopeful edged out challengers in a crowded primary. "I am so proud to be the face of the Democrats tonight," Hallquist said during her primary victory party. Along with Vermont Sen. Bernie Sanders, an Independent who caucuses with Democrats, former President Barack Obama and former Vice President Joe Biden endorsed Hallquist. During her primary race, she received the backing of Justice Democrats, a progressive political action committee founded by former Sanders campaign leaders, including Cenk Uygur of "The Young Turks," which helped propel leftist superstar Alexandria Ocasio-Cortez to her victory over longtime New York 14th Congressional District incumbent Joe Crowley earlier this summer. 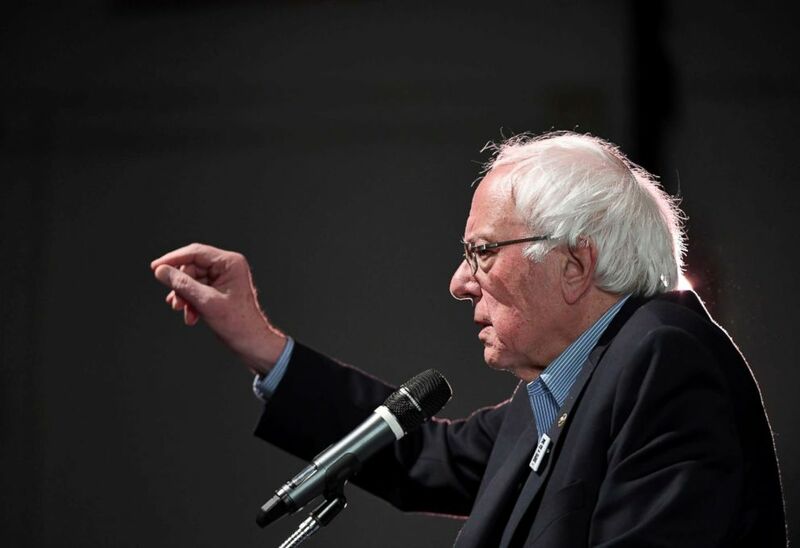 Sen. Bernie Sanders (I-VT) speaks during a rally for Nevada Democratic candidates at the Las Vegas Academy of the Arts, Oct. 25, 2018, in Las Vegas. Hallquist joins three other openly LGBTQ candidates for governor this year -- a historically high number -- including Lupe Valdez of Texas, Kate Brown of Oregon and Jared Polis of Colorado, all Democrats. Before making a bid for governor, Hallquist was the chief executive of the Vermont Electric Cooperative for 12 years. She transitioned from male to female in 2015, and became the first business leader in the country to transition while in office. ABC News partner FiveThirtyEight lists the race as likely electing the Republican candidate and forecasts a 11.6 point lead for Scott, as of Nov. 4. ABC News’ Lee Harris contributed to this report.